Don't you love the anticipation leading up to a special day or event? It's so exciting to check off each day as you countdown. Here is a little project I made using our Art Philosophy Cricut Cartridge (of course) for an Advent Calendar or Countdown to Christmas Calendar. I picked up the frame at Michael's - on sale of course. The open area measures 12" x 18". I removed the glass (for safety reasons) and adhered my project to the backboard! 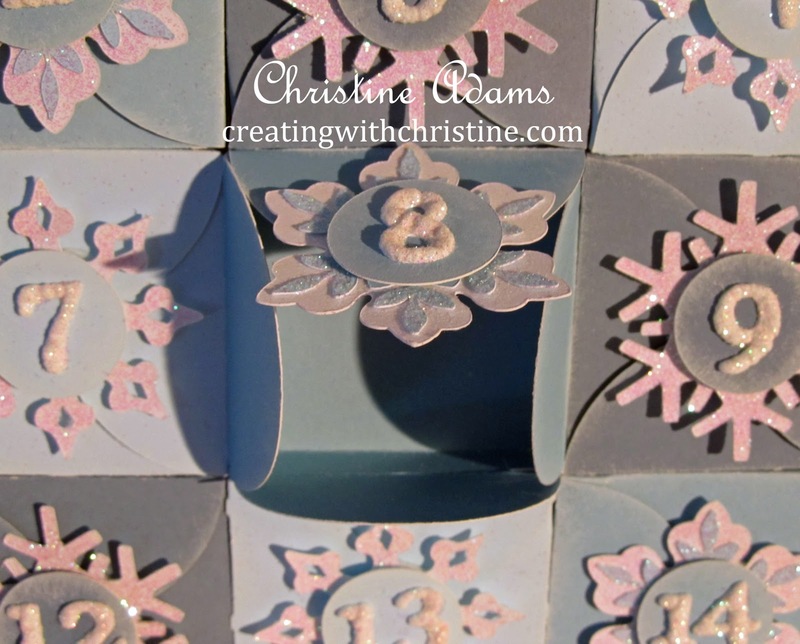 (If you adhere your project to another piece of paper or cardboard, you could interchange the inserts for other Countdown themes - like birthdays, vacations, Disney, Convention, etc! I added the title using the font on the cartridge at 1" and 1 1/2". I added Liquid Applique and Prisma Glitter for a little fluffy frost! Then added some random glittered snowflakes for accents. The boxes on the bottom are the flat box with a petal closure found on the first button on the top row, left side using the Font Layer creative function key and the shift key. I set the size at 5 1/4". You can modify your size based upon your frame size. I chose 3 different cardstock colors (Sky, Crystal Blue, Twilight) and ink distressed them with a little White Daisy ink. 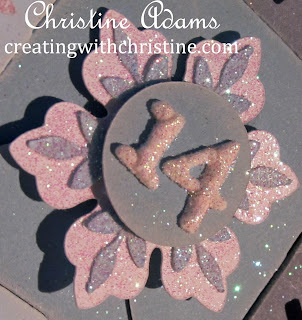 Since this is a pigment based ink, you will want to heat set it to get it to dry quickly. 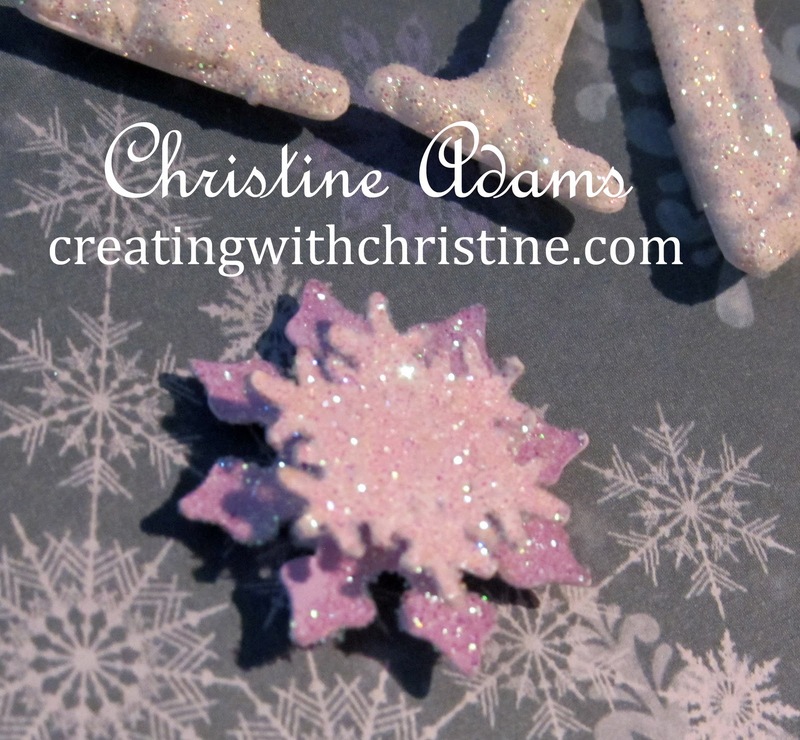 For each box color, I used a different glittered snowflake (love that Prisma Glitter!). 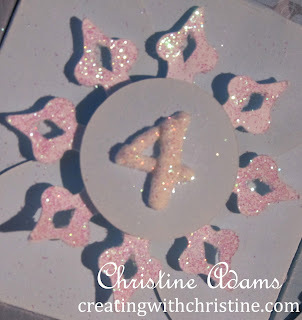 I added a 1" circle in the same color as the box on top of the snowflake, and then a 3/4" number (also from the AP cartridge) with Liquid Applique and Prisma Glitter. I attached each snowflake combo to the top flap - allowing room to fold the box closed. I think an easier way would be to velcro the snowflakes on so that little hands could easily remove the snowflake before opening and closing the box. Then, to make Christmas Day a special day, I used a white box - completely glittered - along with a star burst instead of a snowflake! I chose to use our Wonderland Kit, but of course, you can use any color or theme that you want! The boxes easily open to reveal a task, a scripture, or whatever you want to convey to the participant. I like using it as a "to-do" list as well as a devotional. And of course there is room for a little trinket or candy if you choose! The closed box measures 2 1/4" square with a depth of about 3/8". What other themes would you use this idea for? I'd love to hear! 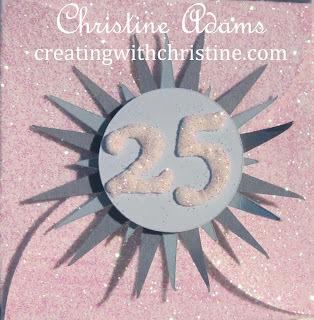 Thanks to Lisa Stenz for hosting this Cricut Blog Hop! Let's continue the fun and see what everyone else has made! Why not post YOUR project too! This is absolutely fabulous!!!! I just love it! Christine, this is adorable! 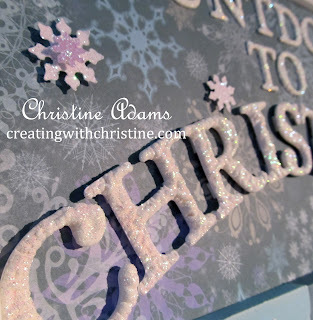 I love the colors and the glitter on the liquid applique. Beautiful job! I love it! 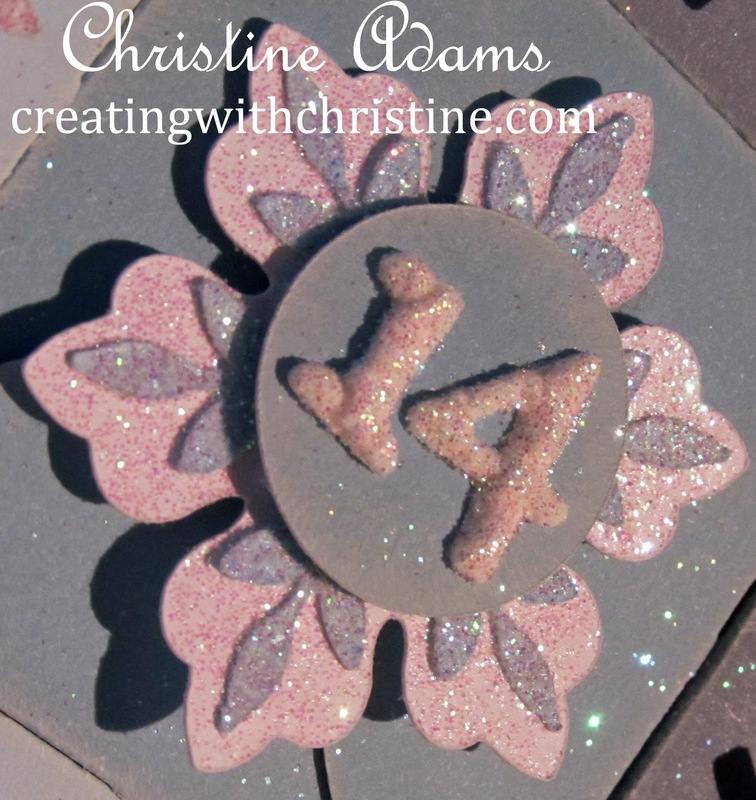 This is a gorgeous project, Christine! Thank you so much for sharing this great project... 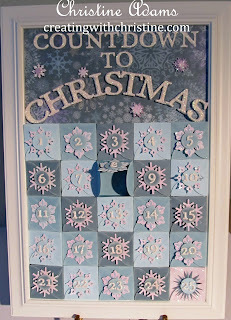 I have been looking for an advent calendar and think that this is a much better idea...Love this so much!!! Thanks for sharing! 52 Weeks of Thank You's! Believe Stocking for last minute gifts! There's a Mouse in my House! Updates delivered to your mailbox!